Emerging medical technologies are changing our views on human nature and what it means to be alive, healthy, and leading a good life. Reproductive technologies, genetic diagnosis, organ transplantation, and psychopharmacological drugs all raise existential questions that need to be tackled by way of philosophical analysis. Yet questions regarding the meaning of life have been strangely absent from medical ethics so far. This book brings phenomenology, the main player in the continental tradition of philosophy, to bioethics, and it does so in a comprehensive and clear manner. Starting out by analysing illness as an embodied, contextualized, and narrated experience, the book addresses the role of empathy, dialogue, and interpretation in the encounter between health-care professional and patient. 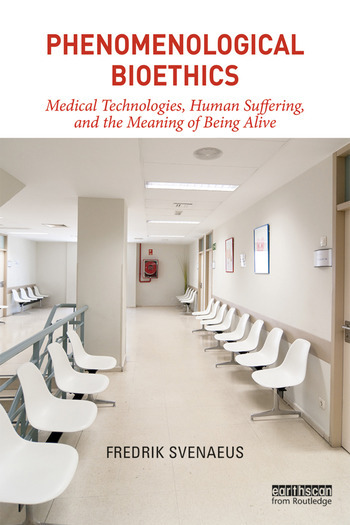 Medical science and emerging technologies are then brought to scrutiny as endeavours that bring enormous possibilities in relieving human suffering but also great risks in transforming our fundamental life views. How are we to understand and deal with attempts to change the predicaments of coming to life and the possibilities of becoming better than well or even, eventually, surviving death? This is the first book to bring the phenomenological tradition, including philosophers such as Martin Heidegger, Edith Stein, Maurice Merleau-Ponty, Jean-Paul Sartre, Hans-Georg Gadamer, Paul Ricoeur, Hans Jonas, and Charles Taylor, to answer such burning questions. Fredrik Svenaeus is professor of philosophy at Södertörn University in Stockholm, Sweden.